>February/March: Several Recording Sessions...Kimo & Ka'iulani finishing CD #6 "Koa "
In this workshop, we will explore some techniques for using alternative tunings to drive our creative process. We will see how the tuning can drive new chord patterns, melody, harmonics and bass patterns. We will see how two or more tunings can be combined to get a completely new tuning and create a new approach to a song. We will also see how alternative tunings are important in brass slide playing, with important roots in Chicago Blues." >July 12 or 13: Kaua'i Music Festival- Kimo & Ka'iulani performing in Concerts...also hear them during the open mic sessions July 10-14! >Dec. 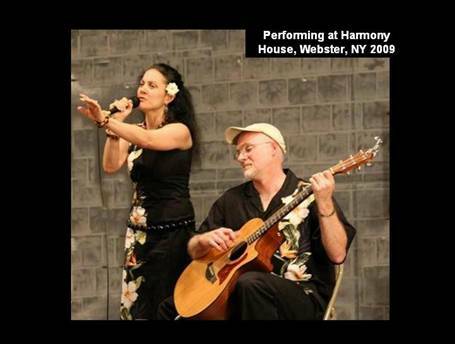 29: Kimo & Ka'iulani at the Pittsford, NY Library 7-8pm All Ages! "Summer/Fall 2011 Concert Tour & CD Release Events"
>July 4: "KKCR" Radio, Kaua'i, Hawaii! Kimo & Ka'iulani will be interviewed by Linda Lester between 8:00 - 8:30am. Topics to include...Kimo & Ka'iulani's new (4th) CD, "Mālie" and their performance at the Kaua'i Hospice "Concert In The Sky"...4:35pm the same day! >July 13 - July 16: Kaua'i Music Festival...Kanikapila ! What FUN ! Perhaps you'll hear a few of Kimo & Ka'iulani's new original songs! >September 10 & 11: Rochester, NY...Clothesline Arts Festival at the Memorial Art Gallery on University Ave. Look for Kimo & Ka'iulani in concert at this wonderful Festival...both days...all day...at the Goodman St. Gate! >September 10: 11:30am...Kimo & Ka'iulani will be interviewed by Scott Regan on WXXI Radio...Topics to include...Kimo & Ka'iulani's new (4th) CD, "Mālie" Clothesline Festival and their performances on Kaua'i! >June 6: Pittsford, NY...Gardens of Distinction 1:30- 2:30pm see www.MaryCariola.org for tickets to this worthy fundraiser! >July 28 - 31: Kaua'i Music Festival...Be there and you might catch Kimo & Ka'iulani at Kanikapila or at several Open Mic sessions! What FUN !! >August 16-20: Ka'iulani will be on Oahu at an ongoing HulaWorkshop with Kumu Hula Mapuana de Silva. >More to come...Please check back soon...Mahalo! >July 28 - 31: Kaua'i Music Festival...Kanikapila ! What FUN ! Perhaps you'll hear a few of Kimo & Ka'iulani's new original songs! 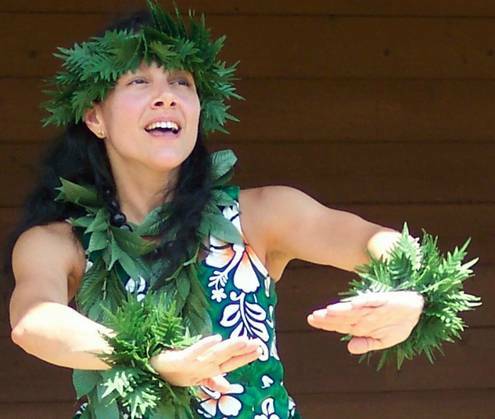 >August 16-20: Ka'iulani will be on Oahu at an ongoing summer Hula Workshop with Kumu Hula Mapuana de Silva. >September 11 & 12: Rochester, NY...Clothesline Arts Festival at the Memorial Art Gallery on University Ave. Look for Kimo & Ka'iulani in concert at this wonderful Festival...both days...all day...at the Goodman St. Gate! "Kimo & Ka'iulani Summer 2009 Concert Tour"
>Rochester, NY...Clothesline Arts Festival - September 12 at the Memorial Art Gallery on University Ave. Look for the Gallery Kaua'i tent opposite the Main entrance near the building. Kimo & Ka'iulani will be performing all day! >Toronto, Canada...September 18 & 19 - Opening for Makaha Sons...at Kobayashi Hall, Japanese Canadian Cultural Centre (JCCC), 6 Garamond Court, Toronto, Ontario M3C 1Z5. Phone 416-441-2345. Website and directions: www.jccc.on.ca Pre-show with Kimo & Ka'iulani at 6:15-7:00pm. Makaha Sons at 7:00pm. >>Shutter Lounge-Lihue, Kaua'i...Shared w/ Uncle Larry Rivera. We had FUN! December 12: Kimo & Ka'iulani's Luau by Invitation 7:00pm-?? May 14: University of Rochester... SEAS Concert Series 12:00-1:00pm Optics/Bio-Med Building - Munnerlyn Atrium...on Campus. January 12: Pittsford Library @ 2-3pm Hawaiian Performance for All Ages! April 25: University of Rochester...12:00-1:00pm in Goergen Optics/BioMed Building - Munnerlyn Atrium...on Campus. July 29: Church of the Pacific - Princeville, Kauai @ 6:30pm Kimo & Kaiulani Concert- Slack Key Guitar, Vocals & some Hula too! Student Ho'ike & Wine/Cheese Reception follows concert. $10.00 Donation graciously accepted. June 21 - July 29: Annual Hawaii Trip to Molokai, Oahu & Kauai Performances included: Molokai Lodge w/ Our Special "Ohana" Na Kupuna, Marriott Ihilani Resort w/John Basebase, Kauai's Hula Girl Restaurant w/Makepa, Kauai's Waipouli Beach Resort, also Waipouli Beach Resort w/Malani Bilyeu, Church of the Pacific in Princeville opened for Chris Yeaton & Adam Werner, Hyatt Regency Poipu w/Leilani Rivera Bond... Kimo & Kaiulani performed most nights while on the Islands - too many events to list! March 25: Nazareth College "Connect the World" International Festival (Performance 2:00pm) Hula, Chants, Slack Key Guitar Come talk to us at our festival table 11:00-4:00pm and hear the beautiful music of Kimo Knox on Slack Key guitar! December 16: Hawaiian Holiday Performance @ Gallery Kauai 6:30pm Tickets $20pp Please purchase in advance. Victor Intermediate School - Dates listed below. September 13: Channel 8 News Wake-Up 6:50am "Hula Kahiko"
December 18: Hawaiian Christmas Celebration @ Gallery Kauai 6:30-9:00pm Call for ticket information. 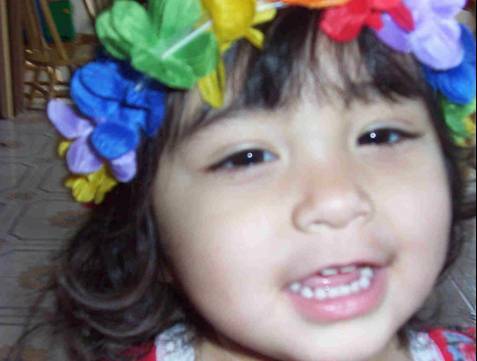 September 18: Children's Center Brighton "Apple Fest"